6/9 element VHF Yagi antenna - ON6MU optimized 6/9 element vhf yagui antenna with antenna schematic plan and pictures of homebrewed samples. VHF 5/8wave vertical antennas - By Guy, de ON6MU, At VHF, both the 1/4-wavelength monopole and the 5/8-wavelength monopole antennas are widely used. 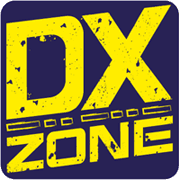 DXXE - The DXXE Group was created in January 2005 by Mexican radio amateurs that share a passion for DX, contests, expeditions and island activations. Castles of Poland - Award series "Castles of Poland" are issued for two-way QSO or SWL-report with radiostations working from castles being on territoy of Poland. Joplin Annual Hamfest - Plan a trip to the Ozarks and join all your radio buddies at one of the largest hamfests in Missouri. Over 20,000 sq-ft A/C indoors with over 200 flea market tables. Lancaster County fire feed - This feed is not just a scanner sitting in a house, it is on a 60' tower overlooking Lancaster City. Nearson Antennas - Founded in 1990, Nearson, Inc. has been providing our customers with exceptional value with the products and services we offer. VHF, UHF mobile radios, Cellular, PCS equipments as well as ISM band wireless data and WLAN applications. MacFarlane Electronics - Canadian dealer, specializes in supply and installation of free-standing towers for commercial and amateur radio use. We also supply ham transceivers, antennas, rotors and accessories.